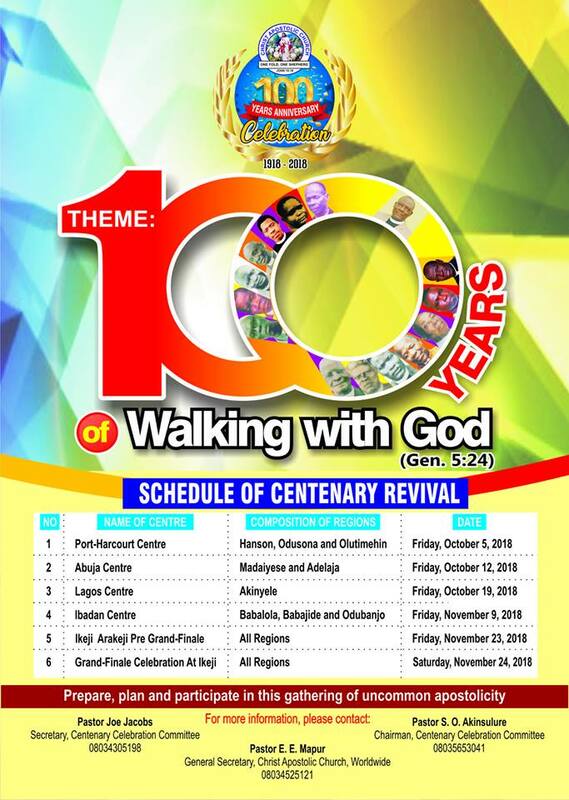 As part of activities to commemorate her 20th anniversary, Christ Apostolic Church, Chapel of Testimony, Ilogbo Lagos will today Monday December 3rd, 2018 start 5days outdoor crusade. The crusade is expected to end on Friday December 7, 2018. A renowned Prophet and planter of CAC Oke Agbara, Pastor M.O. 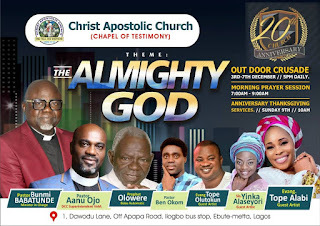 Olowere, DCC Superintendent of CAC Vineyard of Mercy DCC, Pastor Anu Ojo and popular gospel singer, Tope Alabi are among the guest ministers for the crusade which will hold at 1, Dawodu Lane, Off Apapa Road, Ilogbo Bus Stop, Ebute-Metta Lagos. Other invited guests are Yinka Alaseyori, Pastor Ben Okom and Evang. Tope Olutokun. 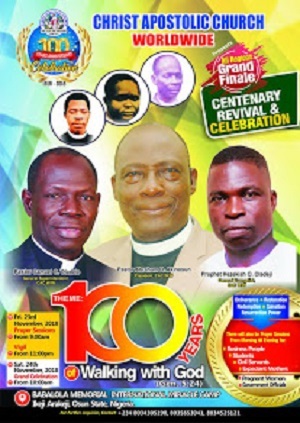 The crusade holds by 5pm daily, while the morning session holds from 7am to 9am. It was gathered that the theme of the crusade is "The Almighty God." 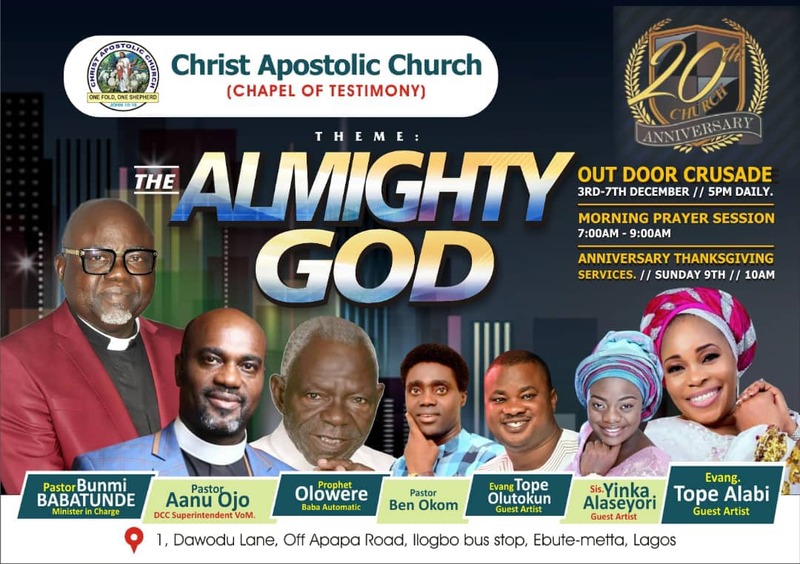 CAC Chapel of Testimony 20th anniversary thanksgiving service holds on Sunday December 9, 2018 by 10am. Akinyele Regional Youth Coordinator, Pastor Bunmi Babatunde is the Minister in Charge of Chapel of Testimony.